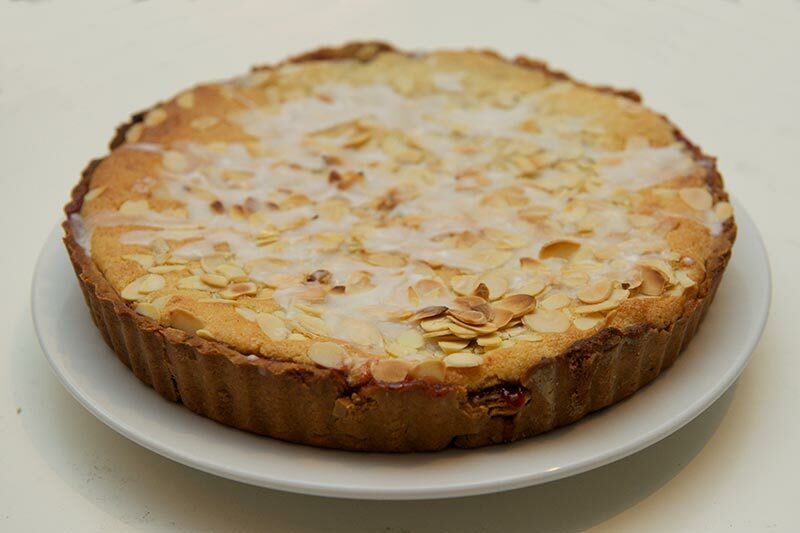 After watching the Comic Relief Bake Off bakewell tart challenge I thought I’d attempt my own. 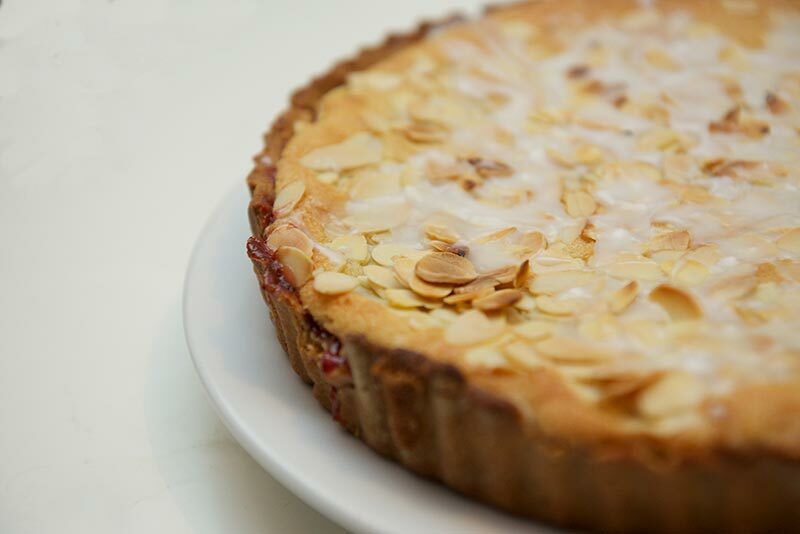 I’ve made Jamie’s 30 minute meals frangipane tarts before which were pretty simple. I’ve also made a recipe by Nick Malgieri that involved combining a block of marzipan with the eggs and sugar, this was before I got my christmas mixer and doing it by hand nearly killed me! This time I used a recipe from Lorraine Pascale’s book, “Baking Made Easy”. 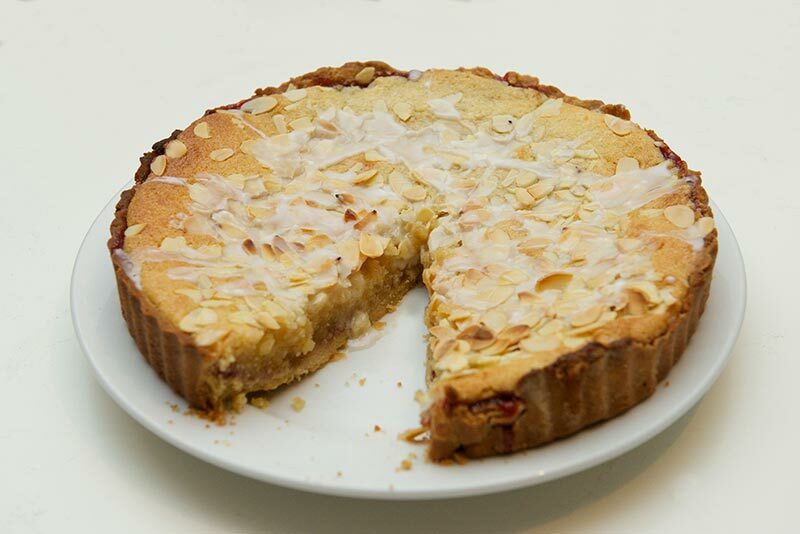 I Also used her delicious Lemon and Almond Pastry recipe to make my tart with, it was a big challenge for me. Starting off with the pastry. Put the butter, vanilla, sugar and lemon zest in a bowl and combine. Beat in the egg yolks one at a time, then add the flour, salt and almonds and mix the dough just starts to come together but is uniform. Shape the dough into a ball, wrap in glingfilm and put in the fridge for 2 hours to chill. Once chilled, heat the over up to 180C and roll out the pastry on a lightly floured work surface to the thickness of a £1 coin. Place the pastry into the flan tin, pressing it into the sides and corners and place it in the fridge for 30 minutes to firm. Mine was a little bit crumbly, so it ended up like a bit of a patchwork. Once the pastry is firm, remove from the fridge. Take a piece of baking parchment that is slightly larger than the pastry and scrunch it up, then unscrunch it and line the pastry with it. Fill it with making beans and ‘blind bake’ it in the oven for 20 minutes. 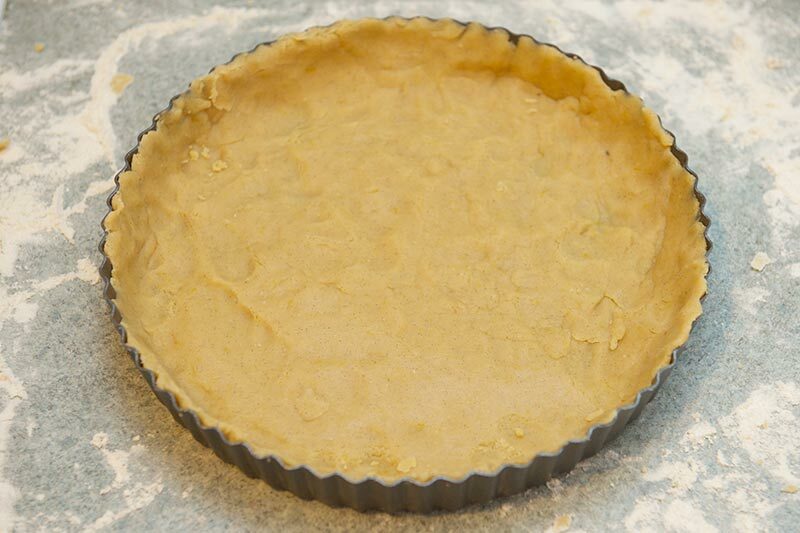 Remove the baking beans and paper and cook for a further 3 minutes until the pastry is a light brown colour. Remove from the oven and set aside. 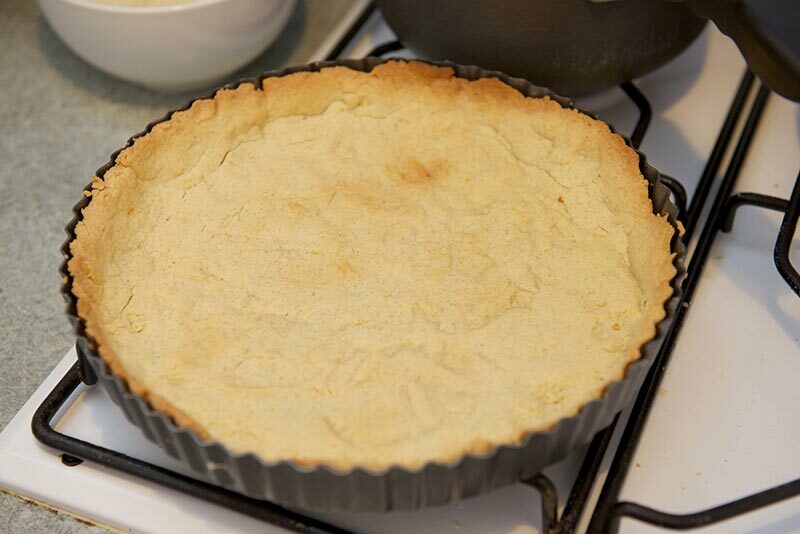 To make the frangipane, put the butter and sugar in a large bowl and cream together. Add the eggs and the amaretto and fold in the flour and ground almonds. 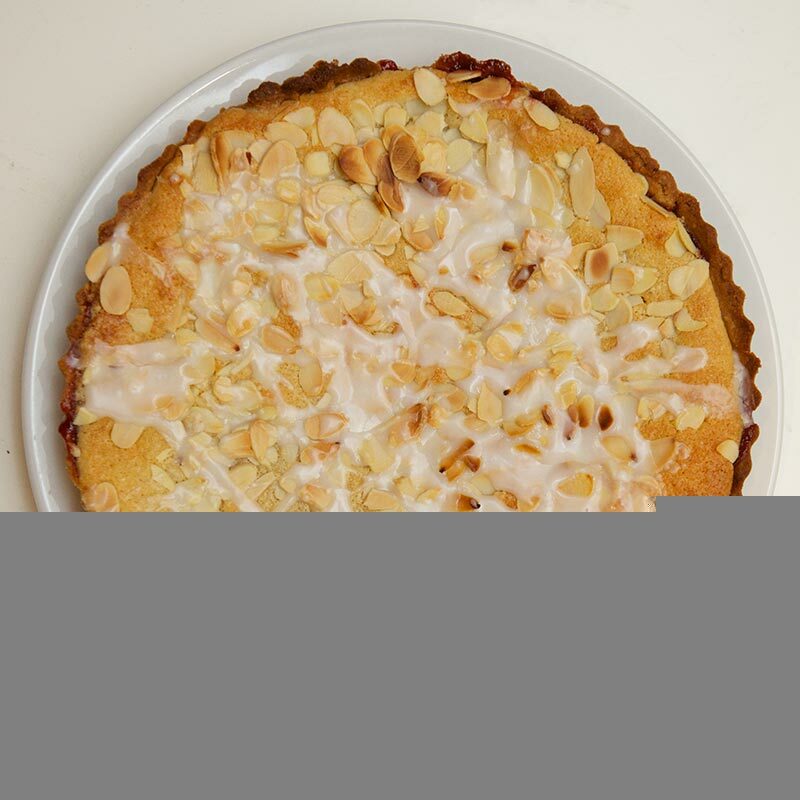 Spread the jam over the base of the pastry case, then spoon the frangipane in and smooth it down with a spatula or palette knife. 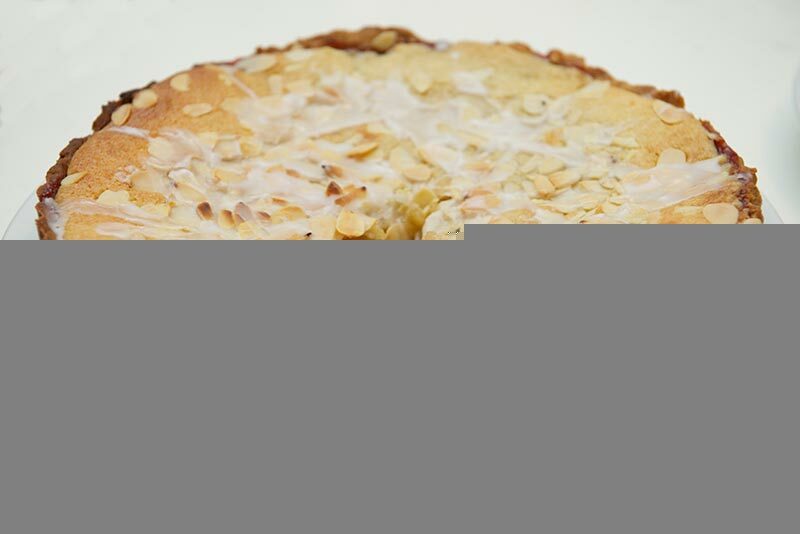 Sprinkle on the flaked almonds and bake for 30-35 minutes, until the frangipane and almonds are golden brown. 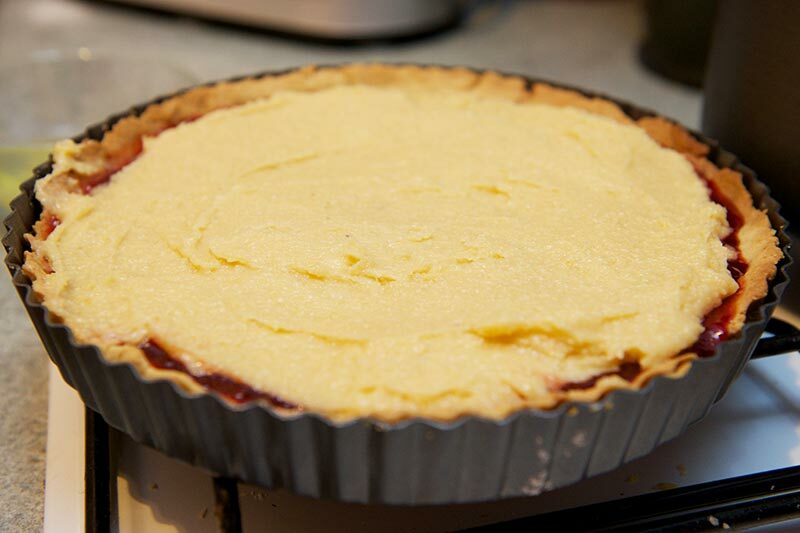 Remove the tart from the tin, and allow to cool. Once cool, drizzle on some some runny icing made with icing sugar and water and allow to set. Overall, quite pleased with it. The pastry is a little crumbly but tastes lovely, and I love the addition of the amaretto.